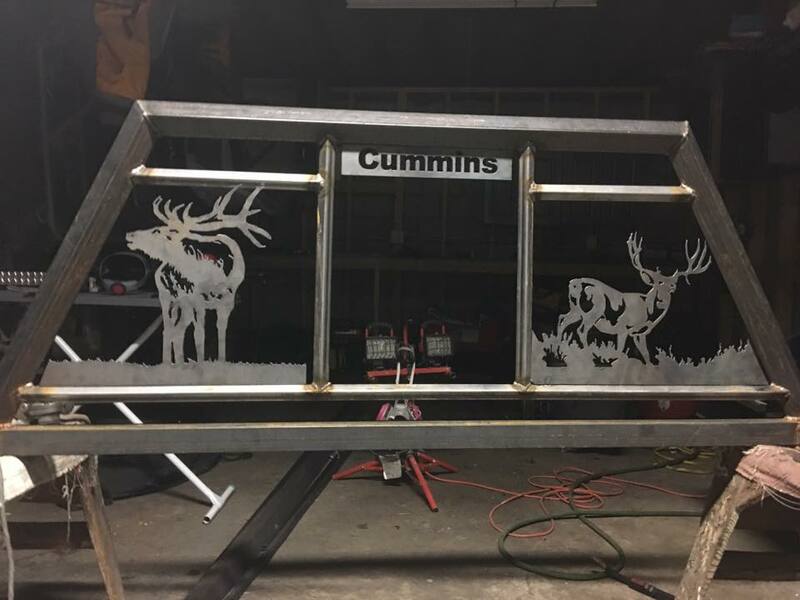 Our neighbor's son started his own welding business in Butte, Montana and has been doing fairly well with orders for custom-made headache racks. This is a recent one he did for a Dodge truck. Is he cutting the pieces custom, or buying them off the shelf? I think he has a CNC for custom cutting. That's good looking work, he should do well with a CNC machine. He's 24 with a bright future. Great job on that rack!